So how do you determine whether or not your crockpot is going to work for that wonderful recipe you clipped out of the newspaper last week? Let's say there is a Dutch oven recipe you found that you'd love to convert for your crockpot. How do you do it? Some general information will help. Generally, crockpots cook on high at about 300 degrees and low at about 200 degrees. That is a very general statement because again, it depends on the age of the crockpot, the brand, the size-the variables are tremendous. I always advise trying recipes out in your particular slow cooker and making notes in the margin of the book or recipe, on what your real cooking times were, this will help you be successful with your crockpot. The following is excerpted from my book, Saving Dinner (Ballantine) and will help you will those conversions. For those of you that own the book, this information is found in the form of a sidebar on page 10. 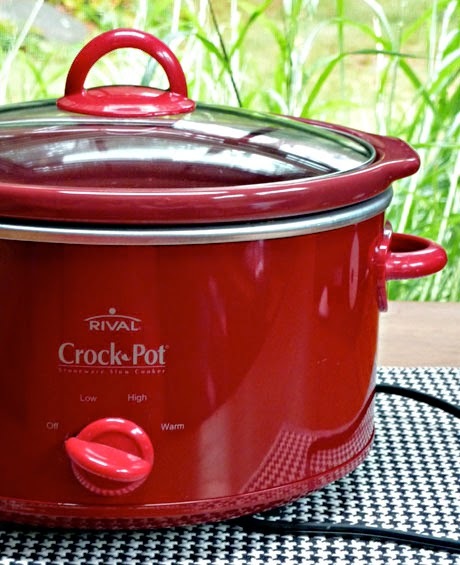 All crockpots or slow cookers are NOT created equal. The following is only a rule of thumb-your mileage may vary. Most stews, pot roasts and other uncooked meat/poultry and vegetable combinations will require at least 8 hours on LOW or 4 to 6 hours on HIGH. Remember that most stews, soups and other slow cooking recipes can be pretty forgiving, however not if you go out and leave an untested recipe alone for 8 hours. And even if you have a trusty, tried or true recipe, if you get a new crockpot, the game changes and what used to work, needs to have an adjusted time now (guess how I found that one out?). Nothing is etched in stone(ware) when it comes to crockpots. Give yourself plenty of latitude when working a new recipe and enjoy the results of having your indentured servant do the work for you! Copyright (C) 2012 www.savingdinner.com Leanne Ely, CNC All rights reserved.